Williams, 36, described a struggle to balance her tennis career and motherhood. Serena Williams has shared a candid message for other moms as she describes her own private struggles with motherhood and finding a work-life balance. (Ezra Shaw/Getty Images) Serena Williams of the U.S. returns a shot to Johanna Konta of Great Britain during Day 2 of the Mubadala Silicon Valley Classic at Spartan Tennis Complex, July 31, 2018, in San Jose, Calif. The 23-time Grand Slam champion and her husband, Alexis Ohanian, welcomed their daughter, Alexis Olympia Ohanian Jr., last September. They are always staring at me ?? Williams reached the finals of Wimbledon in July, her first Grand Slam tournament since giving birth. Williams described to Essence magazine in an interview published Monday how she would rush home from her matches to see Olympia. 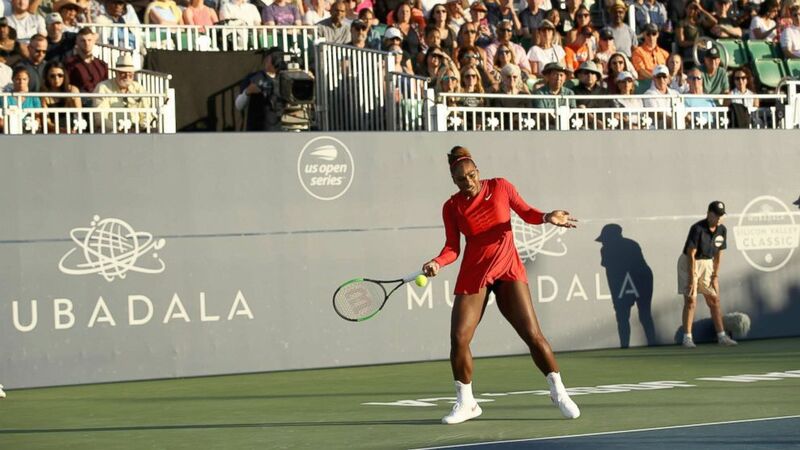 More recently, Williams suffered a 6-1, 6-0 lopsided loss in her opening match at the Mubadala Silicon Valley Classic. She then withdrew from this week's Rogers Cup in Montreal, citing personal reasons. Williams' message to other moms was clear: "I’m here to say: if you are having a rough day or week--it’s ok--I am, too!!! There’s always tomm!" Experts say Williams' openness about her struggles with balancing motherhood and her career can be therapeutic for both her and other moms. "Serena Williams is describing intense ambivalence, which is very common for mothers," Dr. Gail Saltz, a New York City-based psychiatrist, told "GMA." "The feeling that they're neither being successful at work, or successful enough at mothering." 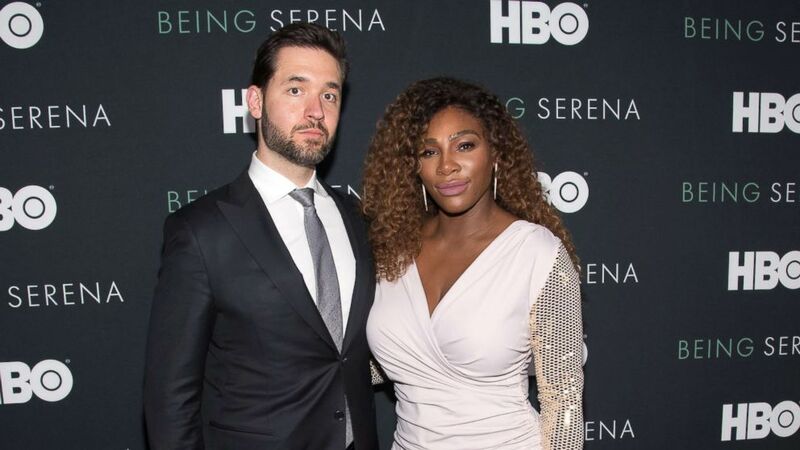 (Mike Pont/Getty Images) Serena Williams and husband Alexis Ohanian attend the "Being Serena" New York Premiere at Time Warner Center, April 25, 2018, in New York City. She added, "Instaggramming like this could definitely be therapeutic if the community steps up and says, 'Me too. I get it and we support you.'" Williams' Instagram post has nearly 380,000 likes and dozens of supportive comments. "Let’s keep making noise everyday in everything we do," she added. The 23-time Grand Slam champion took to Twitter to talk about drug testing. The entrepreneur dishes on being a supportive partner to the "G.M.O.A.T." "It’s definitely hard, but doing what you love makes you a better, happier, more relaxed mom," wrote one person. "These posts that affirm the mommy struggle really do help... Just thought to say this .... Please don't ever think that they count for nothing... They make a huge difference....," wrote another. The candid comments from Williams -- who has also been public about her life-threatening delivery complications -- came just after another famous working mom, Beyonce, also spoke candidly about her postpartum experience. Beyonce, also 36, wrote in Vogue about how she is embracing "self-care" after an emergency C-section to deliver her twins. "During my recovery, I gave myself self-love and self-care, and I embraced being curvier. I accepted what my body wanted to be," she wrote. "After six months, I started preparing for Coachella. I became vegan temporarily, gave up coffee, alcohol, and all fruit drinks. But I was patient with myself and enjoyed my fuller curves. My kids and husband did, too." The superstar added, "To this day my arms, shoulders, breasts, and thighs are fuller. I have a little mommy pouch, and I’m in no rush to get rid of it. I think it’s real."